These buildings can be used as a temporary storage or production space for both short and long term. A great advantage of these systems is fast assembly and disassembly. Adaptation to current needs (size, shape and location). Temporary industrial buildings can be equipped with double-wing doors, escape exits, lighting, fire alarm systems, electrical wiring and heating. We supply the buildings in several types of cover. 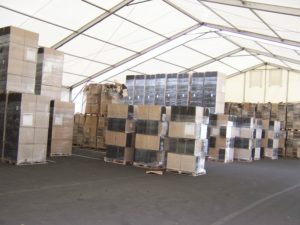 Large marquees and temporary buidlings are designed for industry, commerce and services. Diamant Expo company, as the sole representative of event marquees offers the best in this area. Our perfect service will guarantee maximum satisfaction. Sometimes you just need more space. 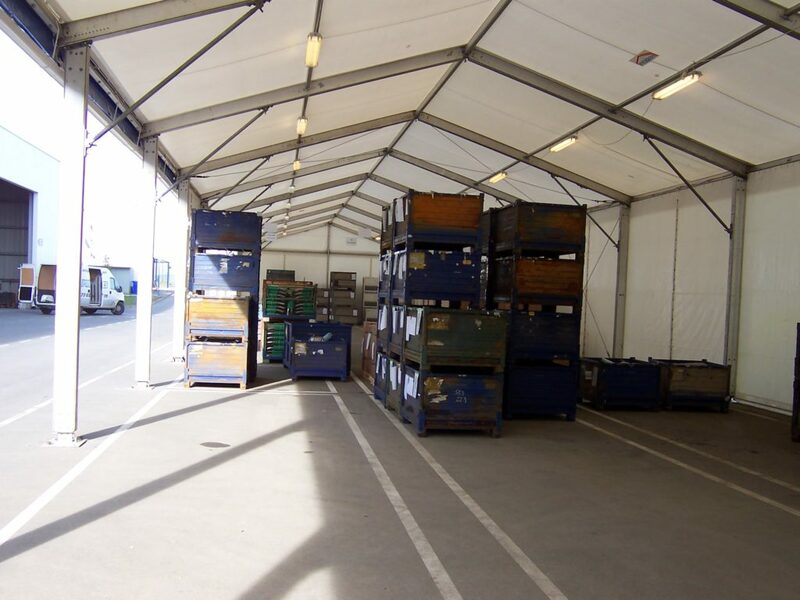 Whether for expanding, relocating, temporary overproduction – large marquees can help you in a very short time to solve a problem with quality premises for your work and products. Large marquees are available in many types and sizes. Thanks to the huge flexibility and their affordability, they are an excellent solution for you. Firms, companies from industry, commerce or services can conveniently rent a large tent or a marquee and they do not have to deal with the complete construction of buildings. We save our clients’ place and finances by making short-term or long-term rentals. Rental is an advantageous solution during the season or a short-term shelter for production, sales events, warehouse and many other spaces. Companies using Röder products might also opt for buying marquees and tents, especially because of their extremely fast assembly, possibility of comfortable rebuilding, completion, expansion, simplicity in assembly and dismantling, and the possibility of relocation. Standard building industry is not currently offering similar options – common buildings are of single-use, difficult to change, and their costs many times exceed those of temporary storage structures and tents offered by the company Diamant Expo. A large marquee is often sought after as a shelter solution during the season. You need to quickly put a roof over your products, seasonal sales or an event. Right at this moment, marquees are the right solution for you.